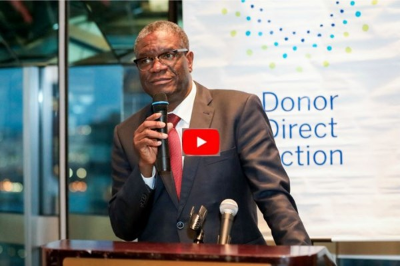 I am so delighted to share the news with you that Dr. Denis Mukwege, Medical Director of Panzi Hospital in the Congo, has won the Nobel Peace Prize, together with Nadia Murad, a Yazidi survivor/activist from Iraq. Both of these newly awarded Nobel laureates have come close to death several times, and their determination to speak out against the use of sexual violence as a weapon of war is an inspiring call to conscience. 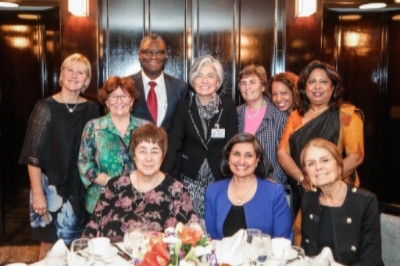 We are honored to partner with Panzi Foundation and to have supported Dr. Denis Mukwege and his life-saving work. We congratulate him and Nadia Murad on this well deserved recognition of their contribution to humanity.